Have you ever walked into a business’s restroom and immediately turned around because it looked like it hadn’t been cleaned since 1970? That may sound like an extreme example, but most of us have experienced horrifying public bathrooms at some point. 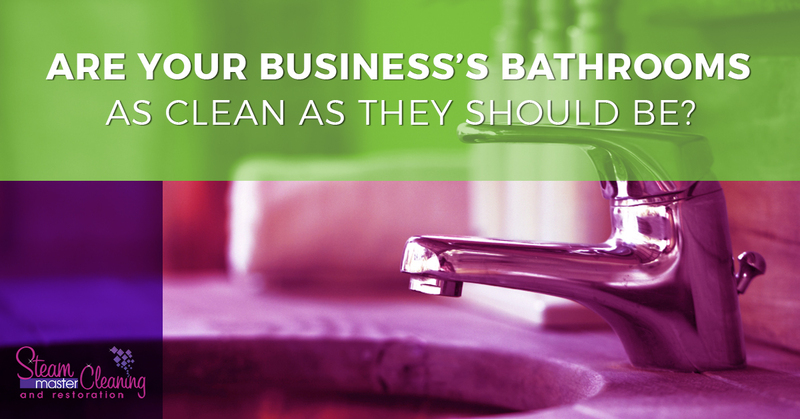 Cleanliness is important — and no place is more important to keep clean than the bathrooms. Your restrooms can say a lot about your business as a whole and can even impact your customer experience. So, are your bathrooms as clean as they should be? There are a couple of big reasons your bathroom should be kept clean. First and foremost, a dirty bathroom is downright disgusting. But, more than that, bathrooms harbor a huge amount of germs and bacteria. No matter what type of business you run, whether you get a lot of in-person clientele or your office space is just for employees, the bathrooms are one space everyone needs to use. This means a huge collection of germs and bacteria gets passed along from person to person. When bathrooms aren’t cleaned thoroughly or frequently enough, you are likely to see an increase in illness throughout your business. One of the biggest reasons your bathrooms need to be kept clean is that a clean bathroom helps prevent the spread of illness. The other big part of this is experience. Whether it’s about creating a better customer experience or a welcoming, productive environment for your employees, bathroom cleanliness can have a major impact. Walking into a sparklingly clean bathroom tells anyone entering that the owners/management care about the business as a whole. On the flip side, a dingy, dirty bathroom is a clear signal that the business isn’t looked after the way it should be — which may imply to clients that a business’s goods or services are commensurately shoddy. It depends. At the very least, bathrooms should be cleaned daily. If they see heavy use from a large number of employees and/or customers — think about the bathroom at your local big box store — bathroom cleanings may need to happen hourly rather than daily. If you have questions, your local cleaning service can offer further guidance on this. Whether you need daily janitorial services or occasional deep cleaning help, Steam Master Cleaning and Restoration is here to help. We provide commercial cleaning services that include everything from carpet cleaning and vent cleaning to bathroom cleaning and other professional cleaning services. Give us a call to learn how we can help your San Antonio business.